Falana, PDP fault Malami - NAIRAFAME | Best Entertainment Platform. 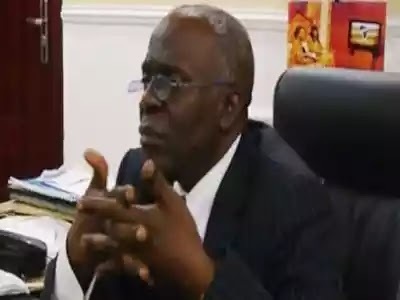 LAGOS lawyer Mr. Femi Falana (SAN) and the People’s Democratic Party (PDP) have faulted the Attorney General for the Federation and Minister of Justice, Abubakar Malami, on his letter to the Independent National Electoral Commission (INEC). Falana said by virtue of Section 158 (1) of the 1999 Constitution, INEC “shall not be subject to the direction or control of any authority or person”. The lawyer said: “Furthermore, the proviso to Section 160 of the amended Constitution states that the powers of INEC ‘to make its own rules or otherwise regulate its own procedures shall not be subject to the approval or control of the President’. Also yesterday, the PDP National Chairman, Prince Uche Secondus, described the AGF’s letter to INEC as part of APC’s design to arm-twist the commission and the judiciary to take illegal actions in their favour.